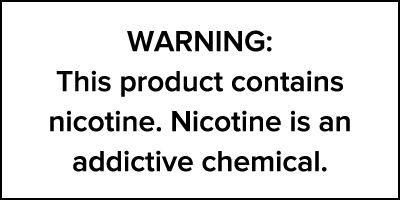 One of Superb's most popular flavors, Nectarberry e-juice, now comes in a salt based nicotine form! This heavenly mashup of juicy peaches, fresh strawberries, and ripe tangerines comes together for a truly unique and amazing flavor. The sweetness and tartness from the variety of fruits here blends perfectly to form an all new flavor you will crave day in and day out. Superb comes to us out of southern California, where they conceive and brew all of their delicious juices. Other than using the best ingredients available, they also make sure their quality control is second to none, making sure nothing leaves the cutting room floor ever. Nectarberry Salt e-juice by Superb comes in convenient little 30mL bottles that are perfect for keeping with you throughout the day and keeping you topped off.